Topps today announced their plans for this weekend’s New York Comic Con. Held right in Topps’ backyard, they usually have a large presence at the show. This year will be no exception. This will be a change after GPK was left out of San Diego Comic Con this year. Topps announced that there will be a 2017 Series 2 GPL Battle of the Bands promo card given out Saturday, while supplies last. 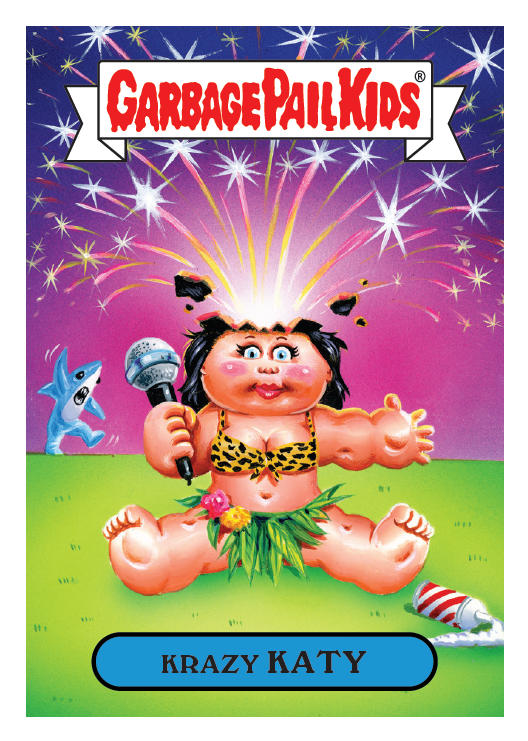 This is the first time Topps is offering a GPK Promo card since 2014. The card, painted by Joe Simko, features a parody of Katy Perry. In addition to passing out the card, artist Joe Simko will be at the Topps booth on Saturday from 1:30-2:30 signing copies of the card. 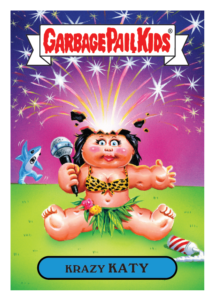 Topps also said they will be busting boxes of products throughout the show, including GPK on Saturday. GPK collectors will want to hit up the show on Saturday. This entry was posted in NYCC, Promo and tagged NYCC, Promo by Jeff. Bookmark the permalink. Come on battle of the bands !